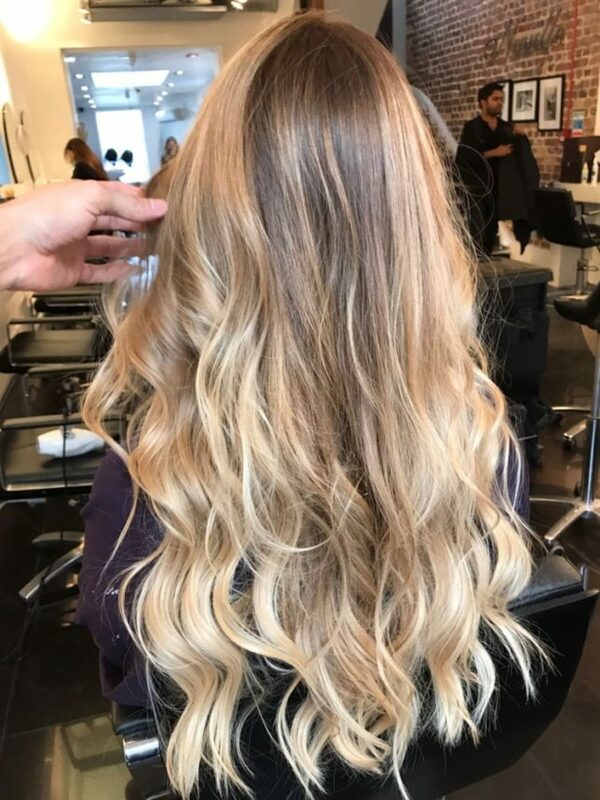 Neville Hair and Beauty has always kept at the forefront of hair trends and styling innovations so it was no surprise to hear that their latest colouring technique for Autumn/Winter 2017 takes things to the next level with a fresh emphasis on the artistry and creativity of their talented colourists. Palm Painting™ is an innovative technique co-created by Neville Hair and Beauty to achieve free flowing and multi-dimensional hair colour. Ditching the brushes, foils and all the other accepted paraphernalia that comes with colouring, Palm Painting™ is achieved by using the hands and the colourist’s creative eye for colour placement. 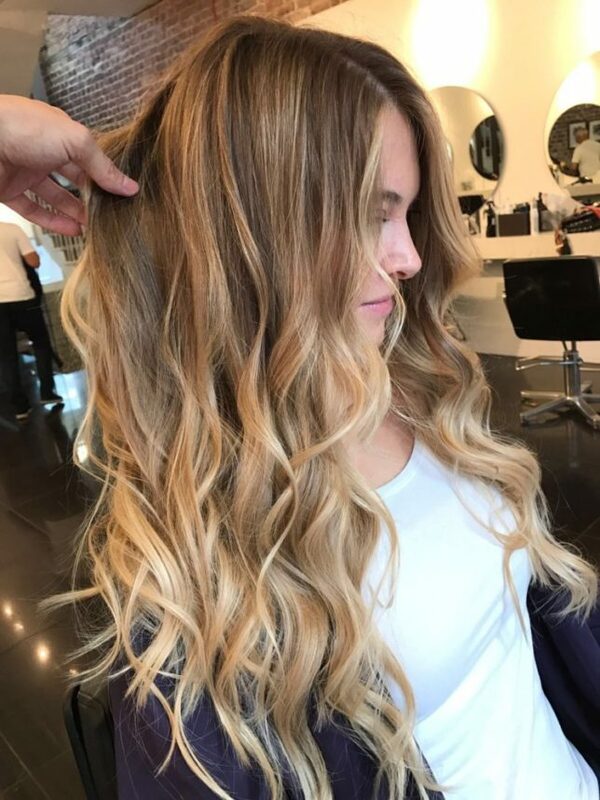 The transformational technique reduces colour application time by at least 40 minutes and gives colourists a total hands-on approach to colour – literally. The traditonal full metal foil head has evolved into something utterly refreshing and contemporary. What this actually means is that more time can now be spent on creating your overall look rather than your colourist spending time preparing foils, back combing and fiddling around with a brush and palette. This innovative technique creates a free-flowing, effortless look by gradually teasing colour through the mid-lengths to the tips of the hair using the palm of the hand – hence the name Palm Painting™. Compared to finger painting, the palm is a larger surface area than the finger so the resulting colour is less bitty. It is also more free flowing and kinder on the eye as you can see below. Did you know that nearly two thirds of those who colour or lighten their hair say that chemical damage as a key concern. 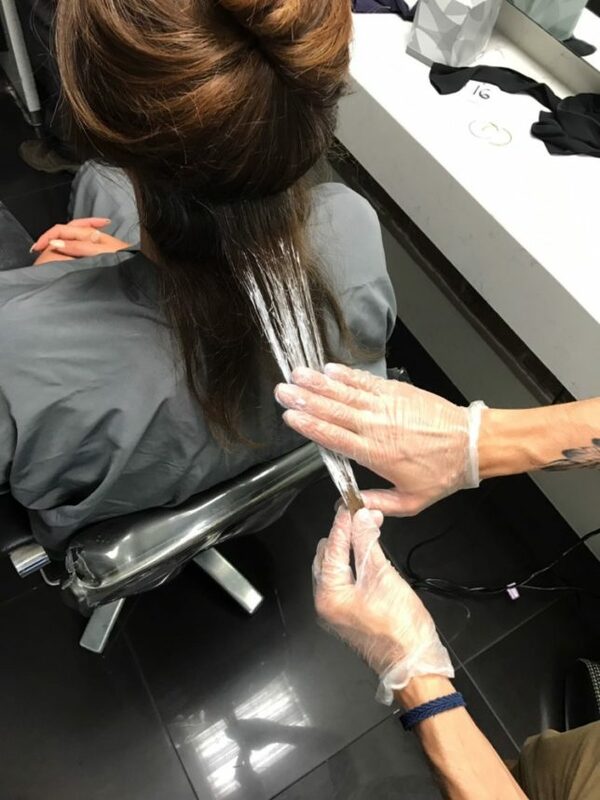 In response to this, L’Oréal’s Research & Innovation Department, with input from their long-term partnerships with top hairdressers, used their 100 years of scientific expertise and long-standing knowledge in high-performance hair care to create SMARTBOND. SMARTBOND is L’Oréal Professionnel’s new generation bond strengthening system that has been specifically formulated to work in synergy with pre-lightener and colour salon products. It protect the bonds deep within the hair & strengthen them during colouring & lightening processes resulting in hair that is stronger, feels touchably softer, and looks shinier. The hair shaft itself is softened and hydrated which minimises frizz. 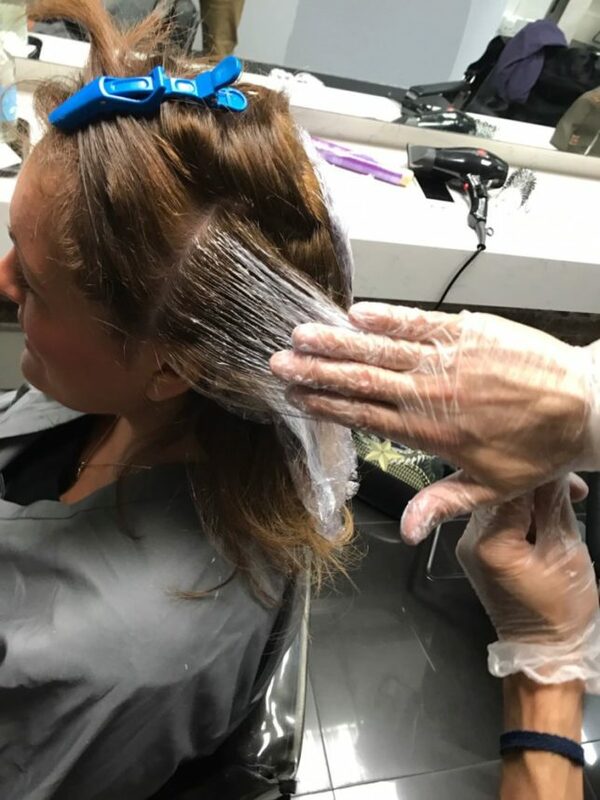 I was told by my colourist that SMARTBOND is a two-step process which allows the colour technician to protect the client’s hair & prevent damage during a technical service. Get ready for the science bit… apologies to Jennifer Aniston! The first stage of the process involved the use of SMARTBOND Step 1 which contains maleic acid. This works “smartly” during the chemical colouring process by limiting the resulting oxidative stress and preserving the strong bonds, capturing the ions and allowing the reconstruction of the weak bonds. The result was shinier healthy hair that actually looked visibly younger and fresher – even to my untrained eye! 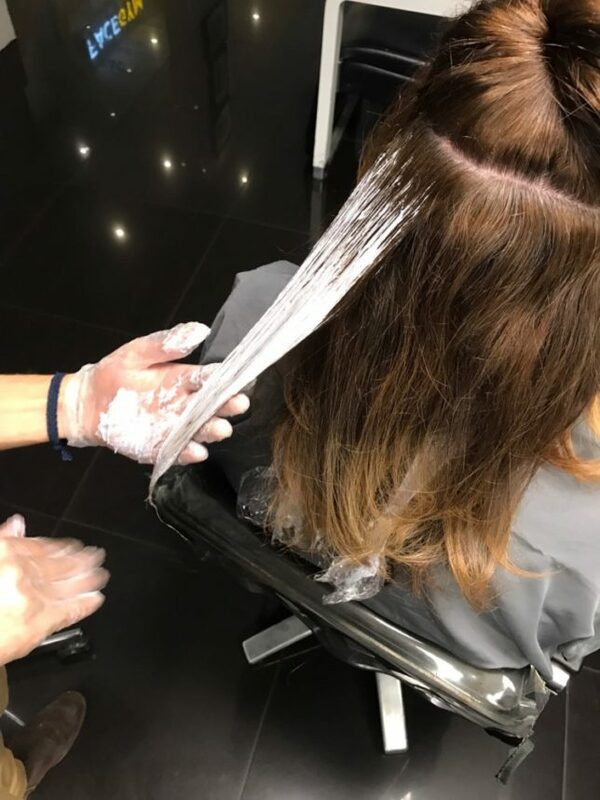 The second stage of the process involved the use of SMARTBOND Step 2 which was applied to my hair as a pre-shampoo once the colour dye was removed. It also contains maleic acid which continues to capture the ions to allow the weaker bonds to reform thus strengthen the hair. 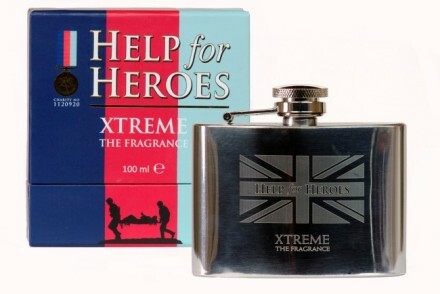 It also contains a blend of ceramides & polymers which provide extra condition & shine to the hair.